The use of teargas and water cannons against protesting crowds during demonstrations organized by the opposition on February 16 and March 16 of this year will now be part of a special investigation. The inquest will be conducted by Tirana Prosecutor’s Office following criminal charges filed against Interior Minister, Sander Lleshaj and the State Police by the Democratic Party on March 18. This party claims that police have broken the law by using teargas and water cannons to disperse its supporters during demonstrations taken place at the start of this year. 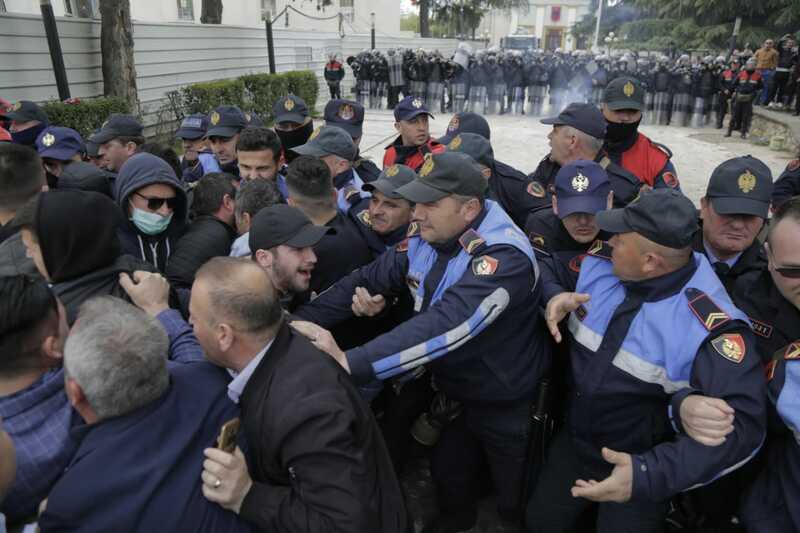 The Democratic Party and its general secretary, Gazment Bardhi, who filed the charges, accuse State Police of official misconduct during the demonstrations organized by opposition parties in February and March. According to the Democratic Party, “by engaging in such unlawful actions, police were not trying to apply the law, but prevent the holding of the demonstration”. These are some of the arguments provided by Tirana Prosecutor’s Office while pressing charges against Interior Minister Sander Lleshaj and State Police. Meanwhile, an inquest is expected to start on the actions carried out by police during the opposition’s protests. The Democratic Party’s General Secretary is expected to appear at the Prosecutor’s Office at the start of the week to provide further details on this matter. On the other hand, State Police has also pressed criminal charges against him and other political figures of the Democratic Party for violent acts against police officers during the demonstrations.